How to manage and store your digital invoices in Circula. 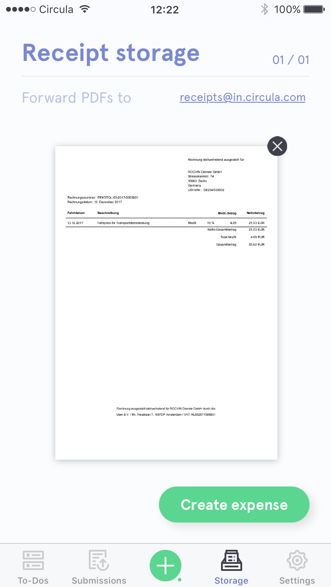 You can upload digital PDF invoices directly to Circula, saving you the hassle of printing them out just to scan them into the app again. Please remember to forward your digital receipt from the e-mail address you use to sign in to Circula so we can properly match your invoices to your account. If you wish to send us your PDF invoices from a different e-mail address, please first add this e-mail address to your Circula account. 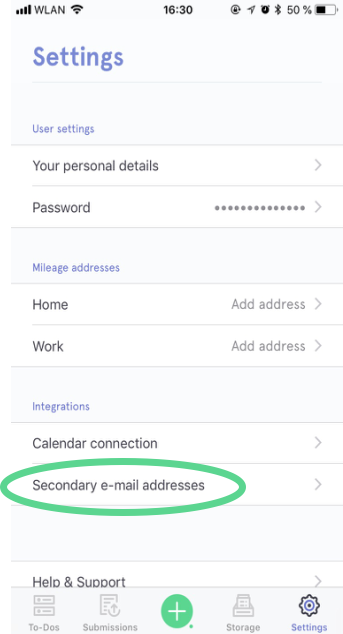 You can do this in the mobile app, by going to 'Settings', section 'Secondary email addresses'. When you create an expense using the web-app, you can also simply drag and drop the file. The supported formats are PDF, JPG and PNG.